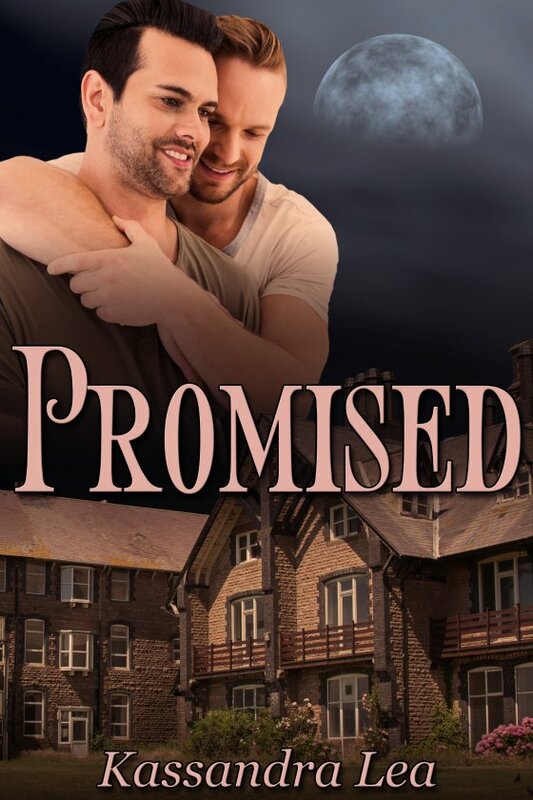 Promised by Kassandra Lea is now available! Blackstone Manor is complete, and what better way to celebrate than a Halloween party? At least, that’s how Io sees it. He’s already splurged on candy and decorations. Cinder isn’t entirely on board, however, hating the look of disappointment on Io’s face when he nixes the idea. Yet somehow Io gets his way, and the party goes ahead as planned. It can’t be all that bad, right? But throw in couples’ costumes, Daisy acting weird, real ghosts, and the secret Cinder has been harboring from Io, and it’s sure to be a night none of them forget. She tapped a finger against her lips, averting her gaze as she mentally trolled through the files. Then without word she stalked off into the labyrinth of shelving. Cinder toyed with the idea of following her, figured it might be for the best. More than once she’d been sent to retrieve something only to get lost in the discovery, or perhaps rediscovery of an entirely different piece of history. Making his way down the center aisle he heard her muttering, smiling faintly as she chattered away to herself. The basement smelled of old books and worn leather with a trace of dust. Heavenly to someone like Daisy and somewhere within the many volumes were recordings of his long life. He made sure she kept them private. She whirled on him, eyes wide, a thick book clutched to her chest. For a moment it was as though she failed to recognize him, her gaze questioning, accusing, unfocused. Concern flooded Cinder. However, her daze passed before he reached her, an almost unsettling calmness embracing Daisy. He did have one more thing on his mind. Normally Cinder knew he could trust Daisy to keep mum about the business they conducted, her loyalty to him just as deep as it was with her role as librarian. However, anyone could see plain as day how thick as thieves she happened to be with Io. Just thinking of his beloved filled him with warmth and unpleasant twinge of guilt. Perhaps as morning drew closer he would remind Io that he did indeed love him, even if other matters got in the way.